If you have gold bullion coins for sale, using the Internet to do so makes a lot of sense. With the high price of gold bullion right now, many investors are selling their coins to cash in on this trend. If you are going to sell gold and silver online there are some things you need to do, and be aware of, before you start this process to get the top dollar amount for it. 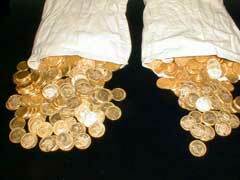 Before you offer gold coins for sale online you will need to have an accurate value estimate for these coins. Otherwise you could end up losing a substantial amount of money. Get a current valuation for your gold or silver bullion coins, because even an appraisal that is two or three months old may be too low in the current market conditions. If you have only purchased the best gold coins for investment in the past then it will be easier for you to get the top market value now. Additionally, rising bullion prices have spiked investors’ interest and there are a lot of people out there willing to buy gold bullion coins right now. Once you know what you have, it is time to list your gold bullion coins for sale, and this can be done in a number of ways. You can list the gold bullion coins on an online auction site, such as EBay which has a large selection of bullion and numismatic coins from sellers all over the world. Before you list, make sure you research the history of past transactions and how much previous lots went for, shipping costs and other important details. Take close up pictures of the front and back and include a very detailed description of the coins type, purity, mintage year and any possible defects your coins might have. You can list through an auction or fixed price formats. Ship items only after you have received funds for your lot. Another option is to list through specialty auction websites which only deal in precious metals. Many investors choose to place gold bullion coins for sale through these sites in the belief that they will get a better price. You can also offer gold bullion coins for sale by contacting an online company which buys and sells precious metals. You can sell and buy gold bullion online easier and faster. If you choose this method you will usually receive the money faster, but you may get less had you sold the coins privately to a collector. The process is the same whether you are trying to sell gold, silver, or palladium coins, only the price will differ because of the value of the precious metal.